Director of the Central Bank of Oman Hamood bin Sangour Al-Zadjali said the establishment of a common currency between the six members of the Gulf Cooperation Council (GCC) could become a reality in the near future as “serious measures” continue to be studied to achieve the goal. A common monetary currency has been considered by the GCC in the early 1980s and Bahrain, Kuwait, Qatar and Saudi Arabia had in March 2010 formed a joint monetary council and a Gulf central bank after Oman and the United Arab Emirates withdrew from the plan in 2006 and 2009 respectively. 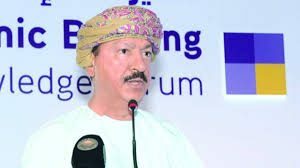 Al-Zadjali’s comments led to expectations that efforts regarding the initiative have been positive but there has been no official statement to confirm it even though he explained Oman will not restrict its local banks from expanding to other Gulf countries. The region enjoys “an excellent financial reputation” with low national debts enabling the countries to pursue their “financial commitments, and keeping a clear record,” he said. Highlighting the advantages of the GCC member states contrary to other international interest rates that follow a negative interest rate policy, Al-Zadjali added that the joint oil reservoir of the six states is one of the greatest asset capacity for the organization while urging for the need to invest in economically beneficial projects. Oman has been a strong supporter for a common currency for the GCC but the process has been going at a snail’s pace with observers noting that the political will is still trailing behind. The currency if created is expected to be pegged to the US dollar or to a basket of currencies because the volume of trade of the Gulf States with the countries of the European Union is much larger than that of their commerce with the United States. Most of the economy of the GCC member states are dependent on oil and gas. Written by: Peter Mulvany on October 31, 2016. Posted by Peter Mulvany on Oct 31 2016. Filed under Finance, Gulf News, Headlines. You can follow any responses to this entry through the RSS 2.0. Both comments and pings are currently closed.